Bjorn Borg in a Sports Bar in Kansas, With a Beer and Cigarette, Singing Karaoke. . .
Huh? 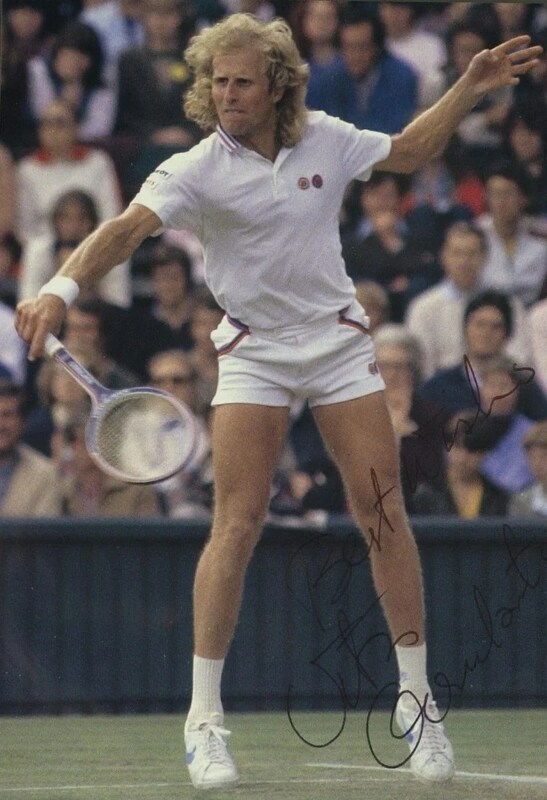 I asked Bjorn Borg over the noise, as he was jabbing his elbow into my ribs. “If you write about this. I sang “Love me Tender.’’ OK? Uhh. What are you supposed to do when you’re standing in a sports bar in Wichita, Kan., talking to your childhood sports hero? Well, let me get back to that story in a minute. Bjorn Borg is back again. Two books and an HBO documentary are out now telling his story. 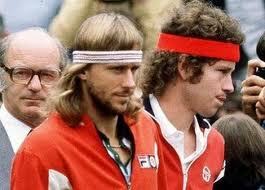 His and John McEnroe’s. It was one of the great all-time rivalries in sports. But it lasted only 14 matches. Each won seven. I know Tignor and Cronin, like both, respect both. So far, these are both excellent books, though I’m a little disappointed to hear that Borg’s famously low pulse rate might not have been true. It was a great day in my teen years when my doctor suggested I wear a medical tag around my neck telling people that my pulse was 45, 46, or whatever it was. If I passed out or something, people might think I’m dying. It was my connection to Borg. That and my $8 Fila socks. Well, I also used the Bancroft Borg racquet, which was a beautiful thing until the laminated throat would start breaking apart. Once, the head fell off. 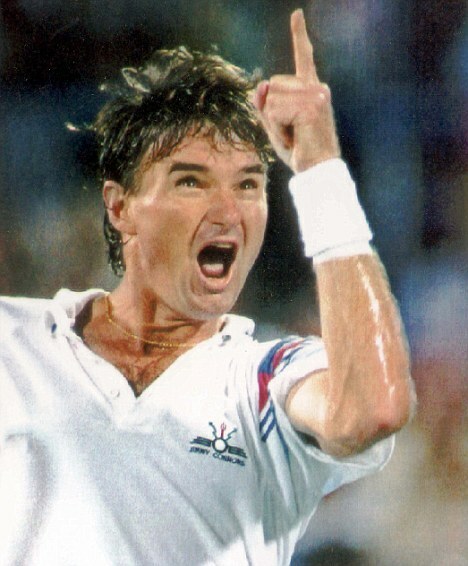 And while I was a big Borg fan, I’ll admit I did switch to the Dunlop Maxply McEnroe after that. Still, the looping topspin forehand and two-handed backhand were almost Borg-like.